The complete narrative of how Mother Superior Evelyn O'Neill brought us to the Windmoor campus and the legacy J.C. Nichols planned for our land. The first thing the Sisters of St. Joseph possessed upon their arrival in Kansas City in 1866, Sister Francis Joseph Ivory recalls, was a cow. Ivory arrived by train on an advance team to raise funds to furnish what would become the convent and school in Quality Hill, a neighborhood that sat at the highest point in Kansas City. It was there that the sisters taught art, French, math, English and anything else necessary to a young woman’s education in post Civil War Missouri. Why did the sisters decide to leave Quality Hill, and how did they end up at the current location in the Plaza Countryside neighborhood? To guide our way through the history of St. Teresa’s and the surrounding areas, the Dart will be using excerpts from Mother Superior Evelyn O’Neill’s memoir “Who is Like God?” where she chronicles the move to the Windmoor location we know today. As real-estate development ventures began in Kansas City, Quality Hill became home to an increasing amount of businesses—by 1889, the Kansas City Merchants’ Exchange, the Coates Opera House and the Franklin School were just down the block. 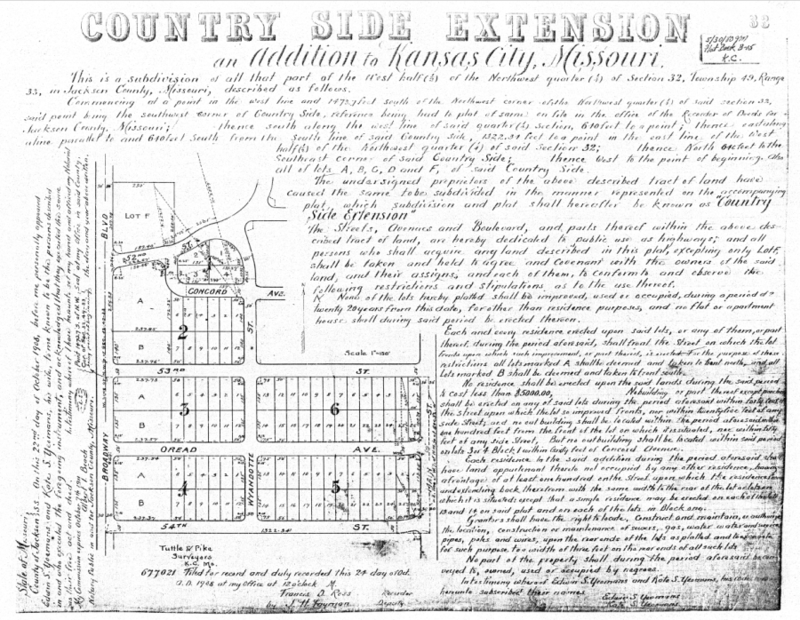 Private entities were buying property on the hill, and to the west, the Stockyard District began developing an area for farmers to buy and sell cattle. The sisters felt that it was time to move out from their brick building in Quality Hill and into a new location and approached Hogan to begin the search. During the same time that the sisters were scouting out new sites, real estate developers and politicians began advertising to “scared whites,” telling them their neighborhoods would be “safe from undesirables,” according to “Racism in Kansas City,” a short history book by G.S. Griffin. As Kansas City’s black population grew, the white population moved their schools and homes further away in a phenomenon known as white flight. As a result, the Country Club and Brookside areas developed greatly between 1900 and 1920. Nichols himself confirms this in an article printed in the National Real Estate Journal in February of 1939. “For the first time in the United States, so far as we know, a plan was evolved by which restrictions automatically extended themselves at the end of the original restrictive period,” Nichols writes, directly referencing the restrictive racial covenants of his neighborhoods. English teacher Stephen Himes explains that these restrictions are not a thing of the past. “[Nichols] created a system in which the racial covenant would be extended in perpetuity into the future unless it was explicitly rescinded by the neighborhood association,” Himes said. That way, Nichols neighborhoods would stay white unless its residents struck down the covenant on his terms. “J.C. Nichols basically perfected [this] practice and, [became] a national figure in real estate circles and then exported it all over the country,” Himes said. St. Teresa’s reputation as a “venerable,” well-attended school and its ability to pay in cash made the school an ideal buyer for the land J.C. Nichols intended to include into his Country Club District. The new location was bound by 56th and 57th streets and Main and Wyandotte streets, two blocks by four blocks of land sold by the Yeomans for $40,000 consideration. This land was one of the last portions of a land parcel Nichols had prepared adjacent to the Kansas City Country Club beginning in 1905, which Sherry Lamb Schirmer writes about in her novel “A City Divided: The Racial Landscape of Kansas City, 1900-1960.” To “entice affluent buyers,” he dubbed the area the Country Club District. The school’s move to its new location occasioned much publicity, including ads published in the Kansas City Times from the school itself that promised “NEW, SANITARY, ABSOLUTELY FIREPROOF” grounds and dormitories. The land plat for the Country Side Extension neighborhood, 1908. photo from the Jackson County Recorder of Deeds. 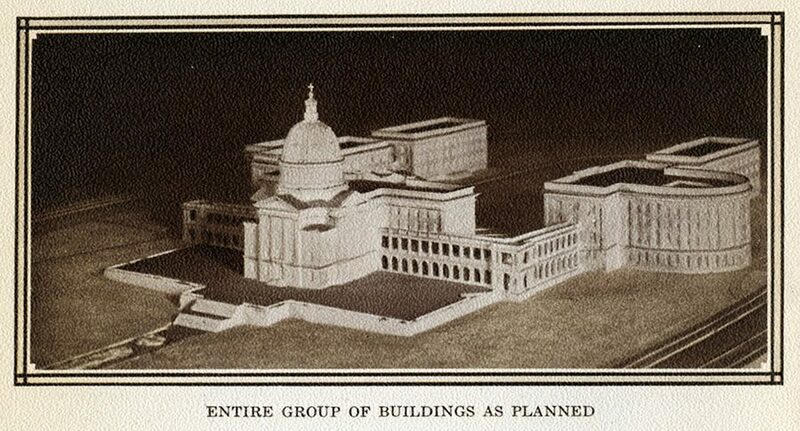 The sisters planned three buildings with the help of architects Messrs. Wilder and Wight and hoped to obtain a $300,000 loan, worth $7 million today. The directors claimed that such a project would result in unfinished grounds, and they denied the request. 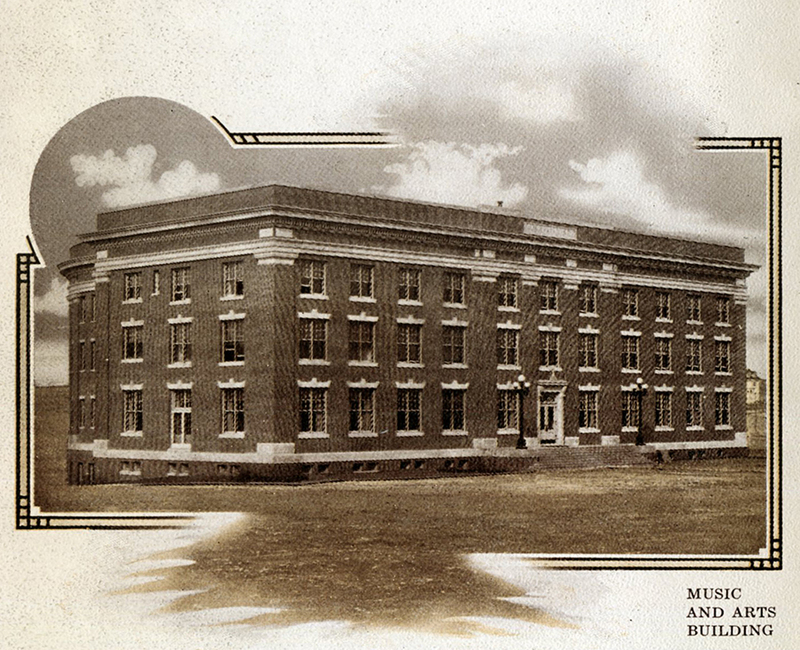 Once O’Neill adjusted the request to the construction of just one building, the Music & Arts Building, the directors agreed and the sisters signed 600 $500 bonds. Once built, the school could begin the search for young women. They placed an ad in the “Kansas City Times” before the 1910 school year which promised a “highly restricted neighborhood,” asked for references on family status and advised those interested to come by way of the Country Club Car, which stretched from Westport down past the campus. Within the next decade, Nichols announced his plans for the Country Club Plaza, a shopping district similar to the Tudor style storefronts established in the Brookside neighborhood. He planned to incorporate Spanish architecture, classical statues and vendors to provide a fine, outdoor shopping experience for Kansas City’s wealthy. Class of 1982 graduate Michelle Tyrene Johnson recalls visiting the Plaza with her friends, and the different reactions she might get while shopping with either her white or black friends. Despite the clear divisions that existed in Kansas City when Johnson was attending St. Teresa’s, she says it is not something that was ever talked about in school or at all, but that it was and still is very noticeable. “You don’t really have to have the details of the racism to experience it,” Johnson said. Today, Johnson reports for KCUR and has focused on how housing discrimination has affected generational wealth and the wealth gap in Kansas City. She gives the example of two people she reported on, one white and one black, who bought houses in the 1960s. Forty years down the road, there was a $300,000 difference in favor of what the white buyer was able to sell their home for. When she looks at Nichols’s history, she looks for the “human destruction” his discrimination left behind. This proposition created the circle drive students drive into every morning, but it infringed on Yeoman’s property, and the school paid them $1,025. In turn, the Yeomans deeded this strip of land to the city. O’Neill remarked that “the beauty of the outlay attracted truly fine homes to our street.” Today the neighborhood is still marked by a sign on Westover Road behind our first building, M&A, serving as a reminder of the neighborhood J.C. Nichols meticulously planned.